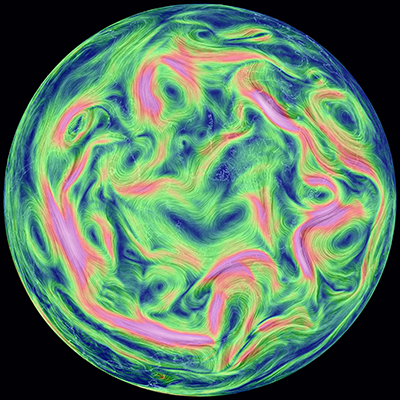 EARTH, by Cameron Beccario, is a near real-time visualization of global weather conditions forecast by supercomputers. This vivid capture depicts intricate, dramatic swirling patterns of wind streamlines reminiscent of oil paintings of the Impressionists. CAMERON BECCARIO'S creation, Earth. 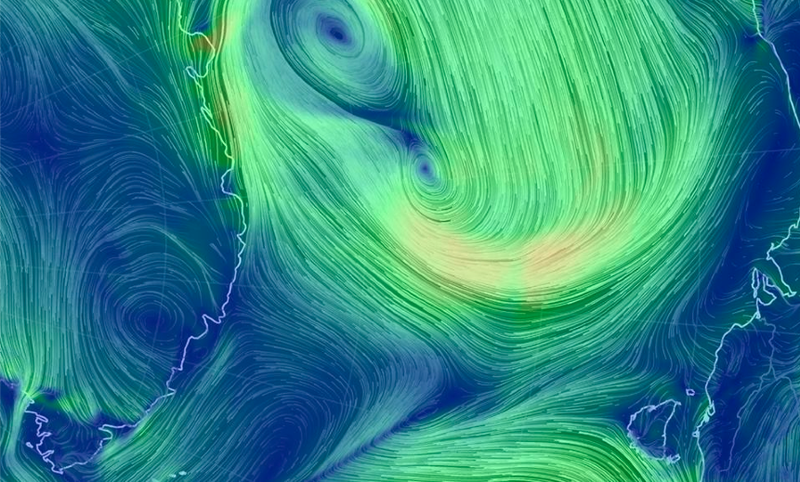 depicts wind patterns on a global scale. The artist began with a wind map of Tokyo, where he lives, and then he took on the world. You can see his animated creation at earth.nullschool.net. Purchasing a fine art print helps the artist with site maintenance costs and to continue development of Earth. NEW EDITIONS – Earth is now available in three variations imaged to Epson Exhibition Fiber, a durable archival paper that is similar in look and feel to tradition darkroom photographic paper. LARGE FORMAT CANVAS – The Antartica variation of Earth is also available as an archival satin canvas at true high resolution. The canvas can be stretched or framed behind protective UV plexiglass using museum grade framing materials. Please contact Point.B Studio for estimates on framed and custom finished works. EARTH EDITION NOTES: Earth is exclusively available from Point.B as a limited edition of 20 in each size. Every large format canvas is accompanied by a card hand-signed and numbered by the artist. Shipping and handling on large format canvas prints and any custom framing requests will be estimated at close of sale. The exquisite detail of Earth - Best viewed large. Learn more about Cameron and Earth at The Graphical Web 2014. Contact Point.B Studio for details and availability.